Please contact Support@ViciMediaInc.com for log-in information. 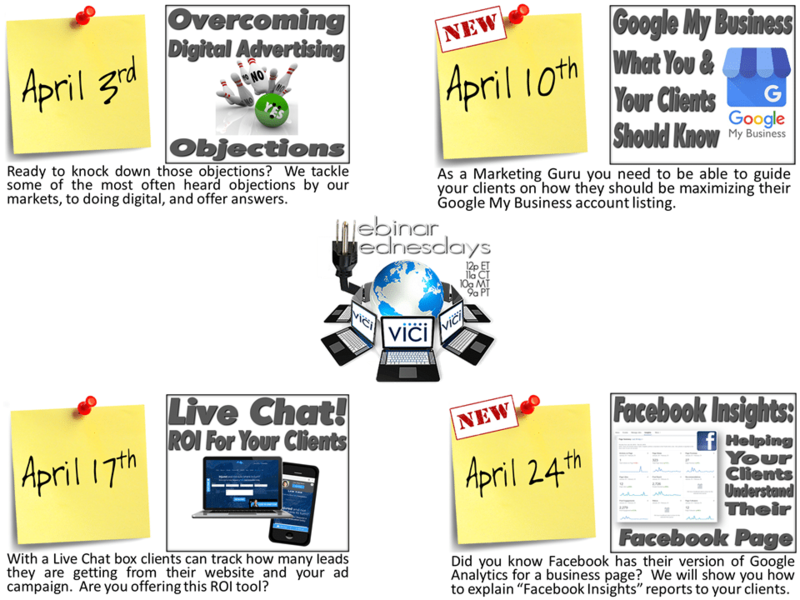 I’ve been a Vici client for nearly 3 years and I consistently attend the weekly webinars. I find them to be helpful in keeping the processes top of mind and I can always count on learning something new.